The need to bridge the gap between Indic knowledge and modern know-how is long overdue, said B Mahadevan, Vice Chancellor of the newly-launched Chinmaya VishwaVidyapeeth University. KOCHI: The need to bridge the gap between Indic knowledge and modern know-how is long overdue, said B Mahadevan, Vice Chancellor of the newly-launched Chinmaya VishwaVidyapeeth University. He was speaking to Express in the wake of launch of academic activities of the varsity’s Kochi campus, located at Veliyanad near Piravom. “We have so many Sanskrit Universities in the country including the one in Kerala. But none of them offers courses which bridge the gap between ancient knowledge and modern know-how. 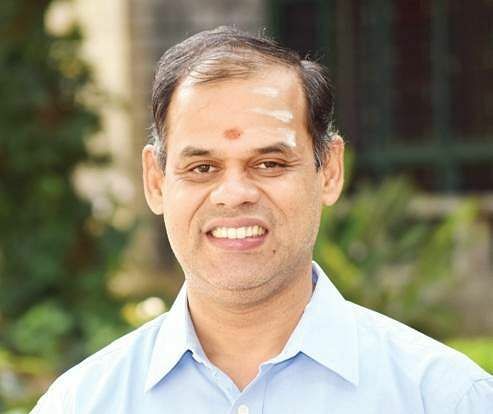 It is this which Chinmaya VishwaVidyapeeth seeks to fill,” he said.An IIT Madras’ alumnus, Mahadevan had been teaching management to students for nearly a quarter of a century. The ‘Management in Gita’ course is his brainchild. Mahdevan said Indic knowledge has solutions for majority of issues confronting the present-day society.“Ancient Indian culture is a repository of knowledge which touches upon all aspects of life. But we could not apply it to life for a host of reasons. The main reason is we are unable to combine the old and the new. The epics and other ancient Indian literature are rich resources which offer ideas for better inputs for life and thereby a better world. We should combine them with modern knowledge,” said the VC, who was faculty, Operations Management, IIM Bengaluru. The varsity does not offer engineering or any technical courses now. “It is unlikely to happen in the near future or at least in the next five years. We have, at present, no plans to launch technical courses, but it may happen after some years. “Instead of job-oriented courses, the varsity aims to produce employable graduates with a wider vision of the world and a deep knowledge of their inner self thereby excelling in the field they choose, he said. “Education becomes valuable only when it helps to bring out the true talent of students and make them better human beings. We think instilling self-confidence in young minds, pride in their rich tradition will help them to develop skills to address the contemporary issues faced in society. Chinmaya VishwaVidyapeeth is committed to moulding such individuals through our educational programmes,” Mahadevan said. The deemed varsity offers BBA (Indian Knowledge Traditions and Business Administration) BCom (Indian Knowledge Traditions and Commerce), BA Sanskrit (Vyakarana) B A Sanskrit (Darshana), PG Diploma in Bharatanatyam and MA Music (Acharya).